The fire began Tuesday morning for unknown reasons. The Blue Cut wildfire in Southern California, which has destroyed homes and forced evacuations, has spread to over 31,000 acres today. Cal Fire Battalion Chief Mike Mohler told ABC News today, "Explosive fires are the new normal. ... I've never seen in 22 years fire activity like that." "The containment is going to be very slow," he said. "We still have a long fight ahead of us." More than 1,500 personnel are at the scene today. The blaze is just 4 percent contained. (Noah Berger/AP Photo) Firefighters battle a wildfire as it crosses Cajon Boulevard in Keenbrook, California, Aug. 17, 2016. 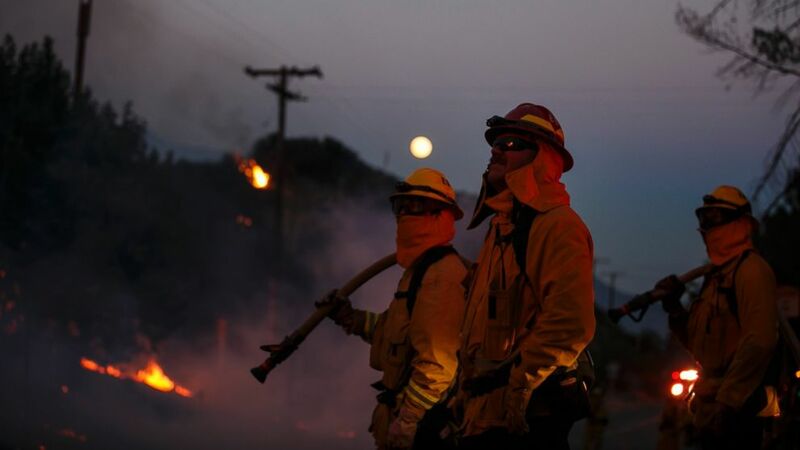 (Marcus Yam/Los Angeles Times/Polaris) Firefighters monitor the Blue Cut fire on the side of Lytle Creek Road, August 17, 2016, San Bernardino County, California. Officials said the fire, named after the Blue Cut hiking trail, began Tuesday morning for unknown reasons. 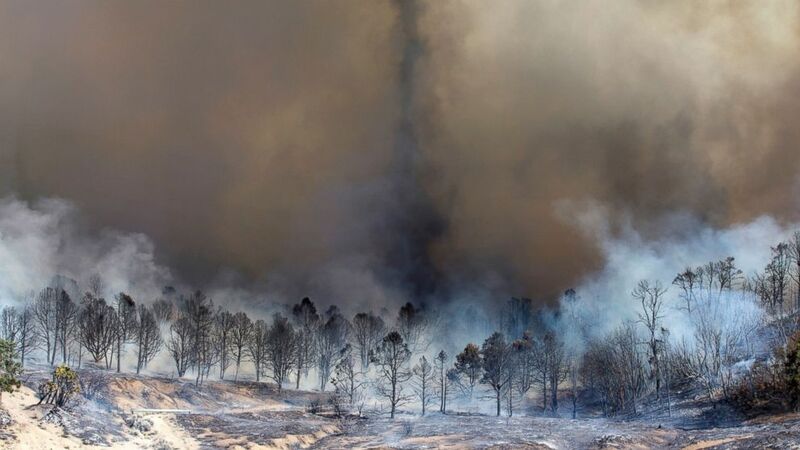 It quickly grew to nearly 30,000 acres by Wednesday. 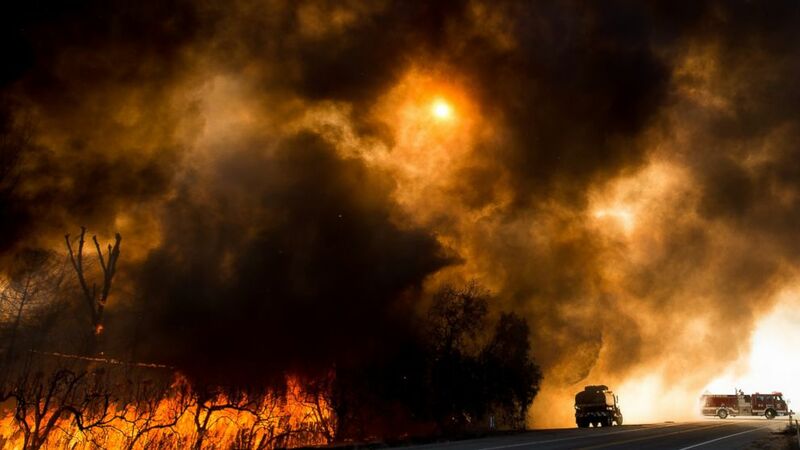 "It was such a large flame front and it came so fast and so hard that firefighters did all they could to basically get people out of the way of this advancing front," San Bernardino County Fire Chief Mark Hartwig told ABC News this morning. "The intensity, the speed, the breadth, width of this fire, and how fast...I’ve not seen anything like this," Hartwig said. "I’ve been fighting fire in this county for 25 years. I have not seen this kind of fire behavior." (Jonathan Alcorn/AFP/Getty Images) Smoke rises from a burned out grove of trees at the Blue Cut wildfire in Wrightwood, California, on Aug. 17, 2016. 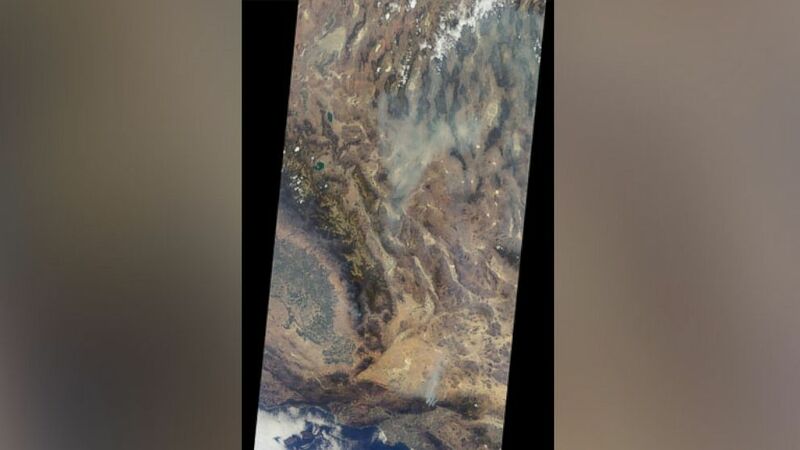 (NASA/GSFC/LaRC/JPL-Caltech, MISR Team) The MISR instrument on NASA's Terra spacecraft captured this image of the destructive Blue Cut wildfire east of Los Angeles midday on Aug. 17, 2016. Mohler said four firefighters have been injured; one suffered an ankle injury and three suffered from heat exhaustion. And to evacuees, Mohler added: "Please, patience. We want to get people home, but safety is our primary concern."